Now beginning with the availability of cDevWorkflow's verision release 1.5, workflow designers have access to our sub-workflow process tool within the workflow design toolbox. Adding sub-workflow process steps is as simple as dragging the sub-workflow process icon from the toolbox and dropping it into your workflow design. As noted with these workflow examples above, the SubWorkflow Process is able to pass workflow process variables from the parent to the child and vise versa. 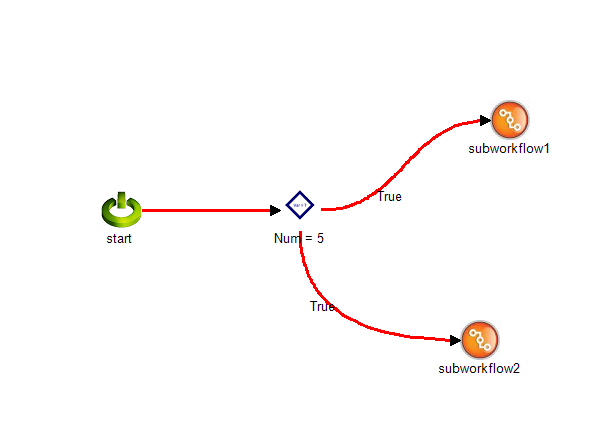 Also the workflow child or sub-processes can be executed synchronous or asynchronous. Truly a very versatile workflow feature to have.